Visteon Corp. reported today stronger first-quarter profits and sales thanks in large part to its 2014 acquisition of Johnson Controls Inc.'s global electronics business. The supplier reported income of $50 million on revenue of $2.03 billion for the first quarter, compared with income of $19 million on revenue of $1.7 billion in the quarter a year earlier. The quarter’s income was affected by a $23 million loss related to discontinued operations and $18 million in restructuring fees, which were partially offset by a $33 million gain related to an audit. Visteon’s first-quarter sales gains come from its electronics division, which reported revenue of $781 million, a $311 million bump from the same quarter last year. The sharp rise is credited to the $265 million acquisition last July of JCI’s electronics business, the company reported. Visteon’s climate business lost money in the quarter, reporting sales of $1.24 billion, down $28 million during the same quarter last year. 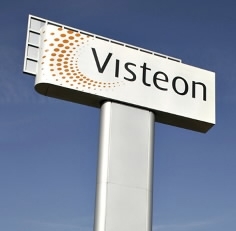 Visteon received all regulatory approvals for its $3.6 billion divestiture of its stake in Korean joint venture Halla Visteon Climate Control Corp.
Visteon is selling its 70 percent interest to Seoul-based Hankook Tire Co. and private-equity partner Hahn & Co. The deal is expected to close in the second quarter of this year, Visteon said.